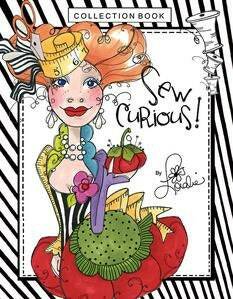 You'll love Loralie's new fabric line, Sew Curious! The ladies are Sewing Divas!! 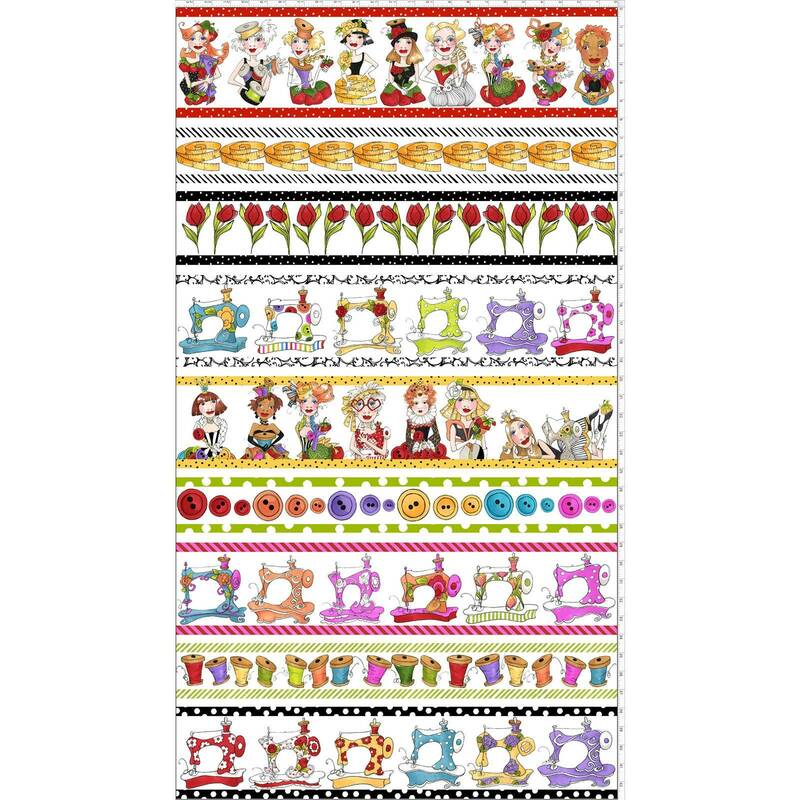 There are machine hats, button dresses and tomato pin cushion skirts! They are dressed in all manner of sewing notions! 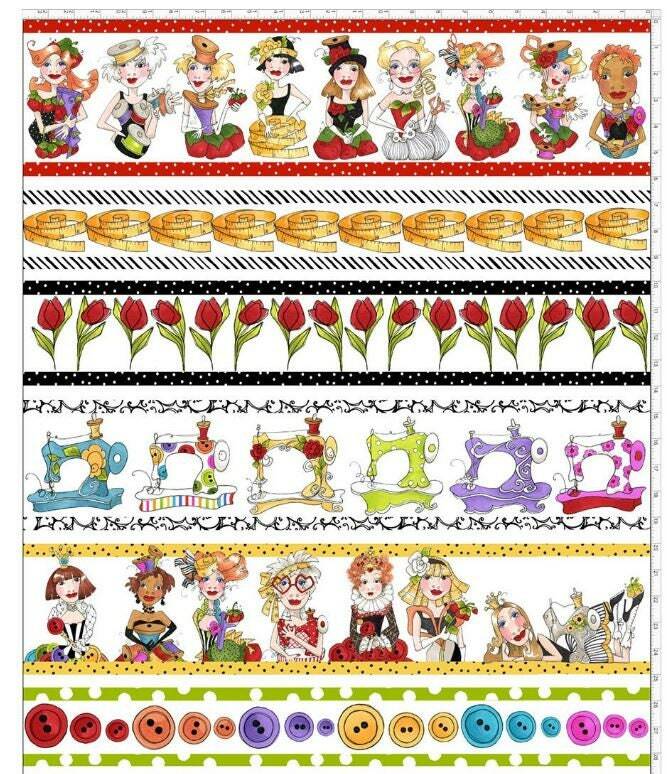 This fabric line is sure to be a HIT! Sold by the yard (Appx. 36"x44"). 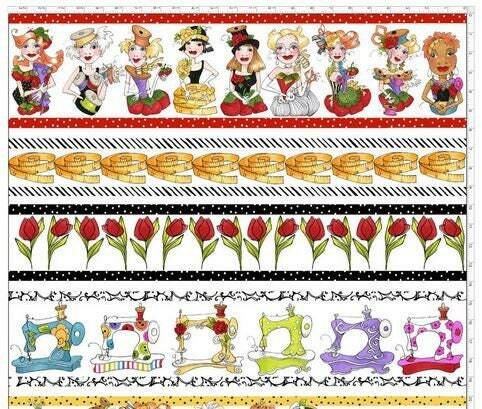 Purchases of more than one yard it will be shipped in one continuous piece of fabric. Machine wash cold with like colors, tumble dry low. 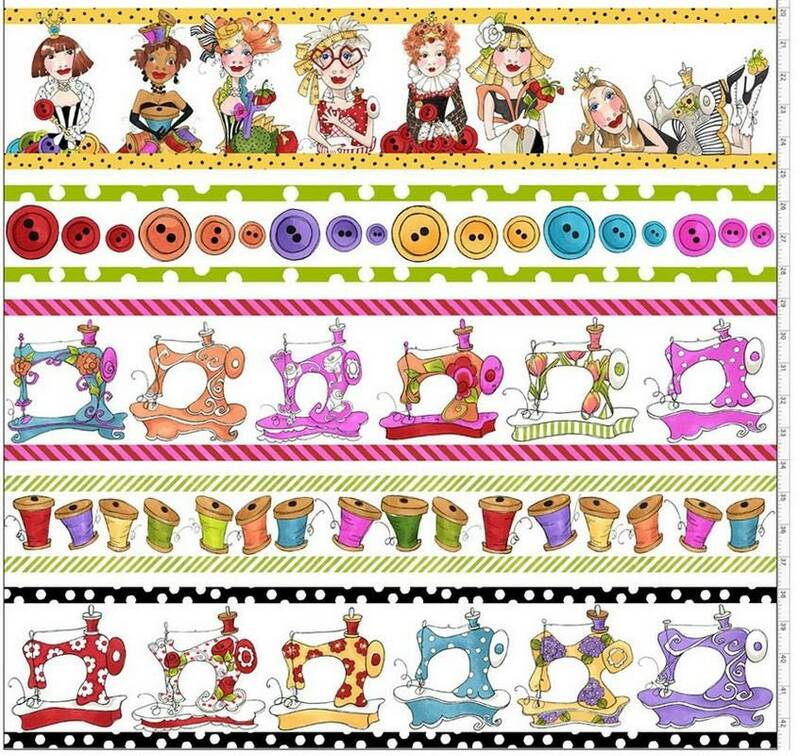 This fabric is 100% cotton and high quality quilter's Cotton. From a smoke-free, pet-free shop.